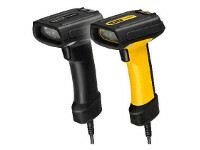 The PowerScan 7100/7000 product series are Datalogic Scanning’s value line of rugged industrial handheld data collection products. 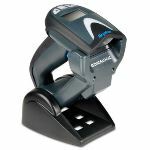 The PowerScan D7100 linear imaging corded reader combines rugged durability and extremely snappy reading performance all at an affordable price. 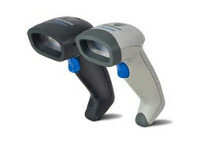 Datalogic Scanning’s innovative and unique optical design of the PowerScan 7100 series of readers combines scanner features that are normally available on different scanner models into a single device: up to 3 mils maximum code resolution; contact to about 3.0 m / 9.8 ft reading distance; and wide angle code reading. 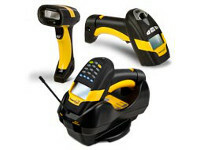 The result is a versatile, easy to use and intuitive scanner that simplifies any code reading activity. 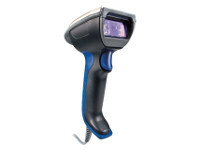 Together high-speed digital hardware and Datalogic Scanning’s advanced decoding algorithms produce read rates up to 390 scans per second, making the PowerScan 7100 readers the fastest industrial scanners available. This is why the 7100’s are especially suitable for “high-speed” applications where thousands of codes have to be read in a very short period of time. As with all PowerScan products, the 7100 readers’ mechanics have been developed and tested to withstand extreme environmental conditions while maintaining consistent reading performance. A loud beeper and Datalogic’s exclusive patented ‘Green Spot’ directly on the code, provide intuitive good read feedback in noisy environments. The PowerScan 7100 readers are offered with two different multi-interface combinations; the Standard multi-interface includes RS-232, Keyboard Wedge and USB; the second multi-interface set includes RS-232, IBM46xx and USB. Light weight and instinctive usage combined with outstanding speed-toread makes the 7100 product series the ideal solution for intensive code reading applications.